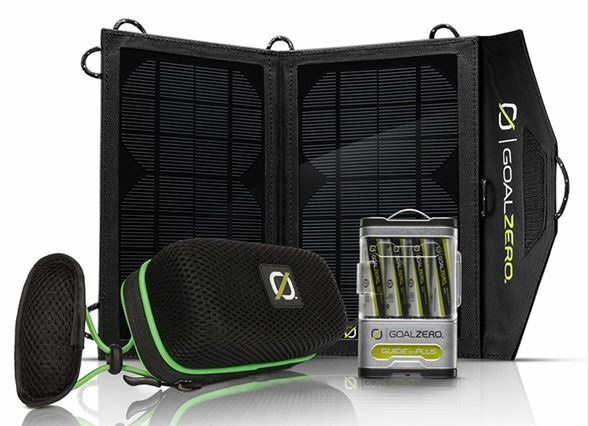 Just got a great deal on a Goal Zero Solar Kit setup. Happened over to Woot and staring me right in the face was something I’ve been looking to get and even had some extra components I was interested in. Remember my Portable Power post? I opted to just get the portable battery until I could get a solar panel to add to it. This kit includes a small 7w solar panel and an additional 9200 mAh battery. And the other component that I’ve been looking for is an external speaker, which is also in this kit. I was looking at possibly getting a Bluetooth one, but I can live with wired. Primarily looking for it to be able to listen to MP3 files from cell phone while driving. And it has it’s own battery so doesn’t need powered by whatever it’s plugged into. I’ll let you know how it works when I get it. DIY Solar Power Kits – How Easy Are They to Build?